One Plus God = ? Whatever you face tomorrow, you will never face it alone. How do you know, you not alone? There is nothing to fear when you know God is near. 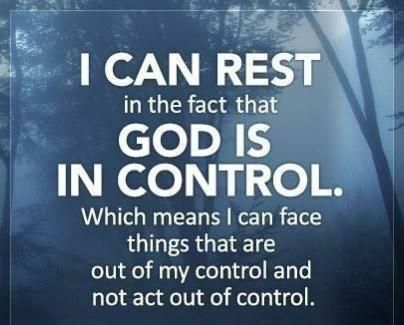 I can rest in the fact God is in Control. Which means I can face things that are out of my control and not act out of control.